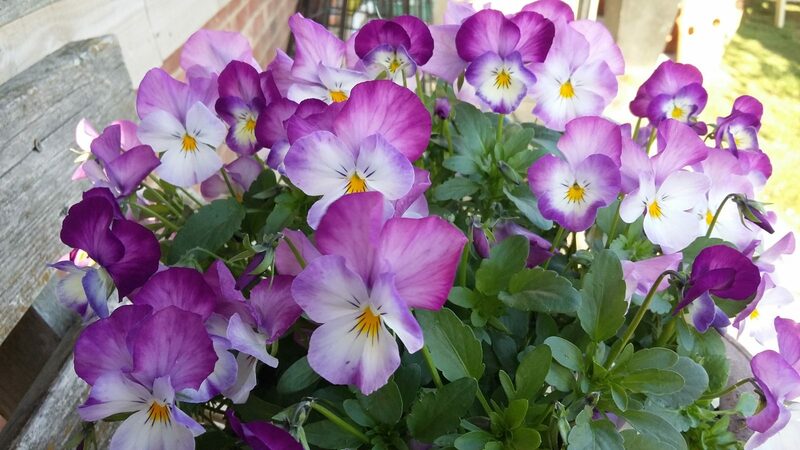 For an instant 'hit' of colour by your door or on the patio we have lots of pansies and violas. 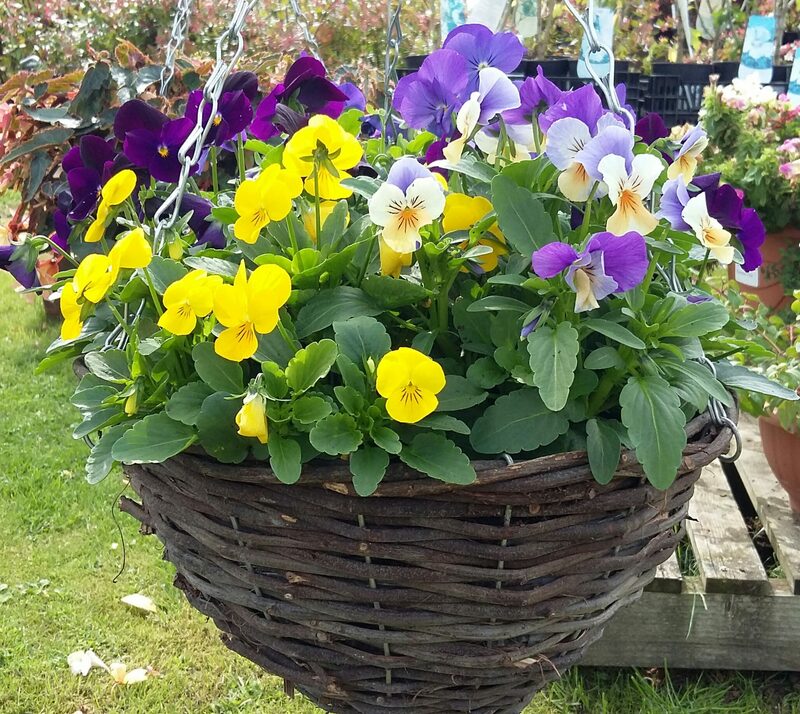 You can plant up tubs and hanging baskets or just bring your containers into the nursery and we can plant them for you. They will be ready a couple of days after you bring them into the nursery. 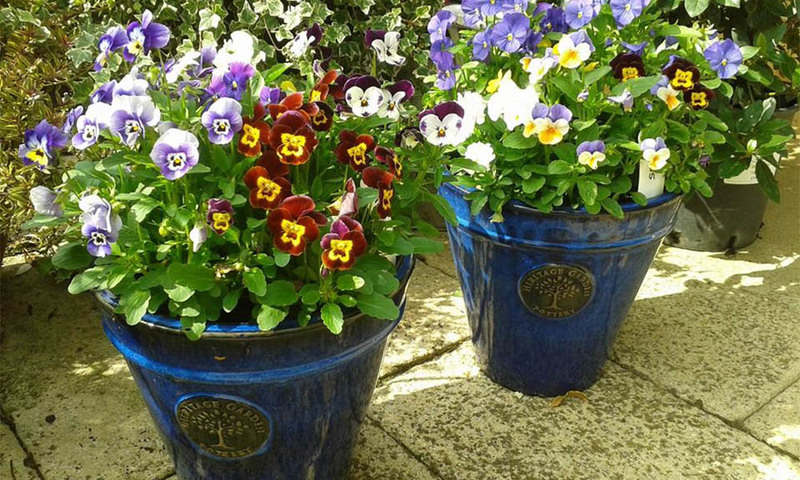 We also have a selection of smaller evergreen plants and late flowering perennials and we are happy to give you some advice on what to put in your pots and baskets to extend the colour in your garden. 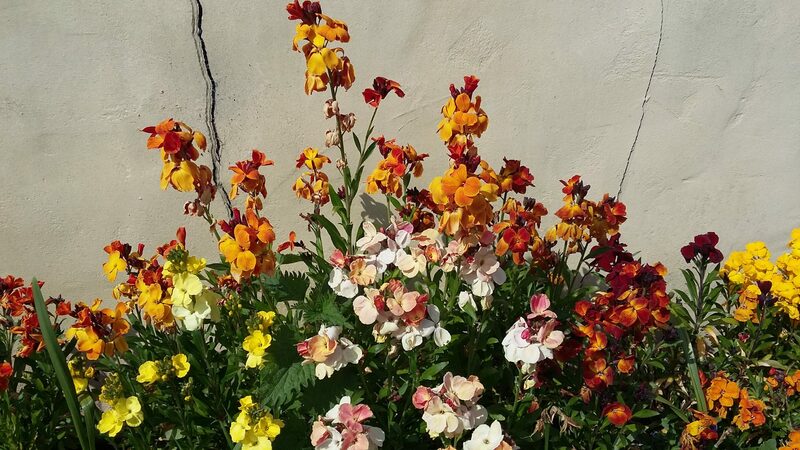 David has been pricking out and planting up wallflowers with his wife Karen. 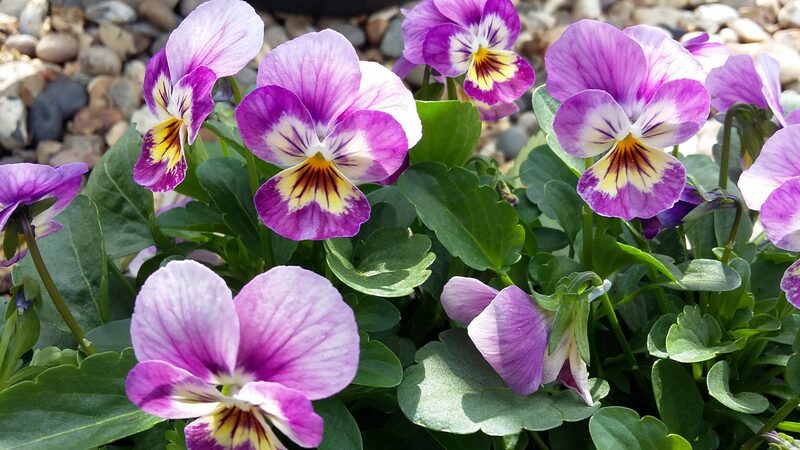 To see just how fast Karen is then take a look at the video of her planting them on our Facebook page! Our field grown wallflowers are popular far and wide. They will be available from the end of September. Once you have had David's wallflowers you will never want to have them from anywhere else.